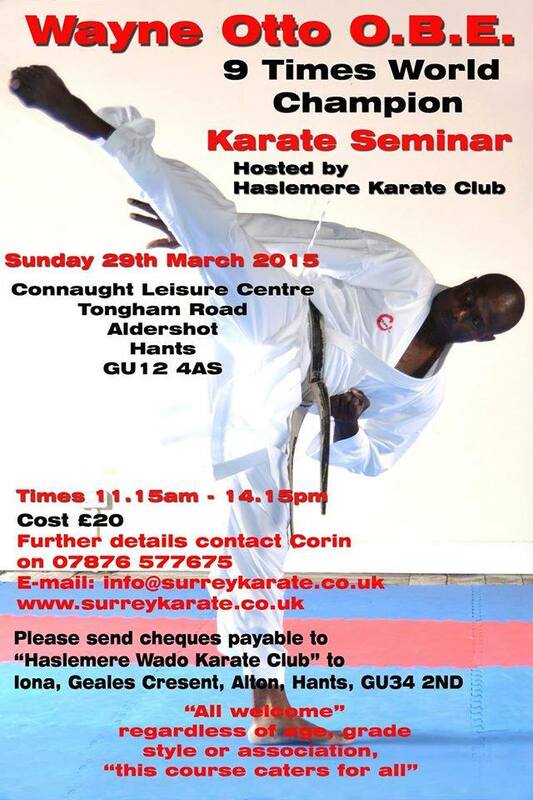 Sunday 29 March 2015 in Aldershot. After last year’s popular weekend of training, we would love to again extend an invitation to all martial art friends, for a fun training experience with Peter Edwards, 6. Dan Wado-ryu – Head instructor of Scotland. Peter Edwards is a very skilled Wado-Ryu practitioner, and he also has a background in Iaido / Batto Jutsu. He is a very dedicated instructor. Training is 200 NOK pr. Session / 600 NOK for all five. – All funds raised will be contributed in full to Shiomitsu-Sensei’s health fund. Training is open for everyone, regardless of skill level and martial arts. Sensei Peter Edwards is holding a course in Seaham Leisure Centre on Saturday April 11, from 12pm to 3pm. Click for Sensei Robert Howell’s report on the 2015 Winter Course.